One of the challenges of the current EV market is extreme lack of choice. There are only a few widely available models, and even if you look in the most popular markets (like California), EV models cover only a small percentage of all the potential vehicle classes. How can we expect electric car sales to explode if electric car models in popular segments are nothing but concepts? After polling drivers about which vehicle sizes and forms they were most interested in buying, we found that the most desired classes were “intermediate-sized cars” and “SUVs/crossovers,” two classes that happen to be poorly represented by current offerings. Overall, however, this was one of the topics where responses varied a great amount from one group to the next. That said, there was generally broad demand for SUVs/CUVs. across the population. Pickup trucks were more popular among survey respondents in the United States, as you might have guessed. For some reason, “full-size” cars were in low demand in North America, but that is presumably because people who want large vehicles now heavily lean towards SUVs. 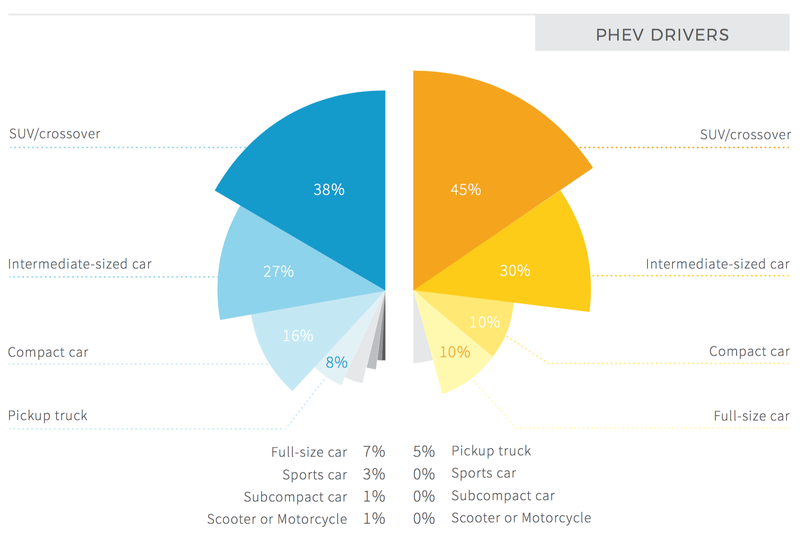 Compare these results to last year’s report: Electric Car Drivers Want Electric SUVs/CUVs, Midsized Cars, Much More Model Variation (CleanTechnica Report). As usual, people want more range than less. 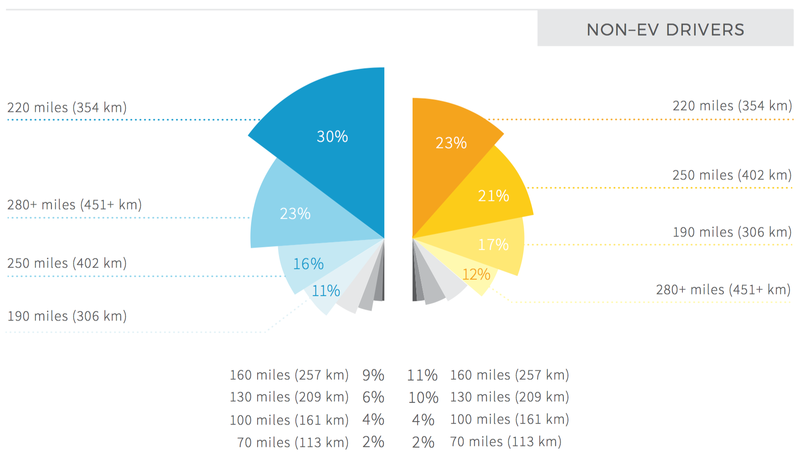 57% of non-EV drivers in Europe indicated that they need 220 miles (350 km) of range, 250 miles (400 km) of range, or more in an electric car. Adding in another 17% at the 190 mile (300 km) level and you’ve accumulated 74% of respondents. 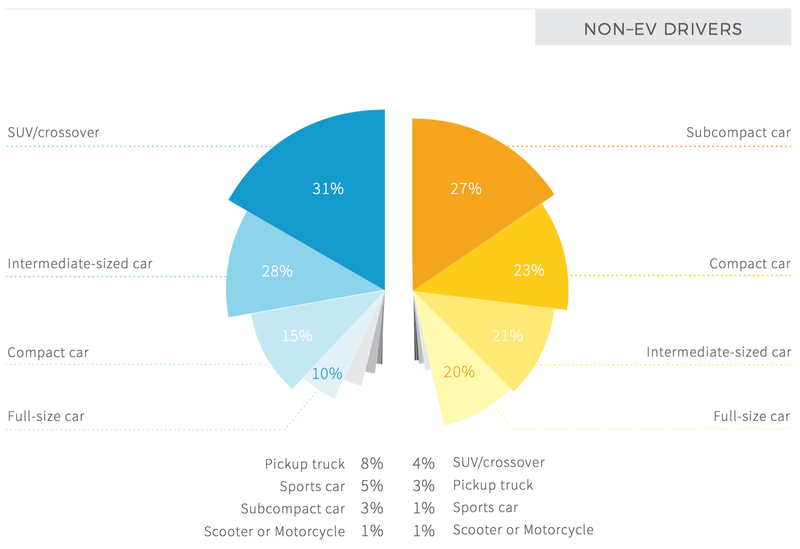 In the US, 69% of non-EV drivers surveyed were in the 220 mile, 250 mile, or 280+ mile pool. 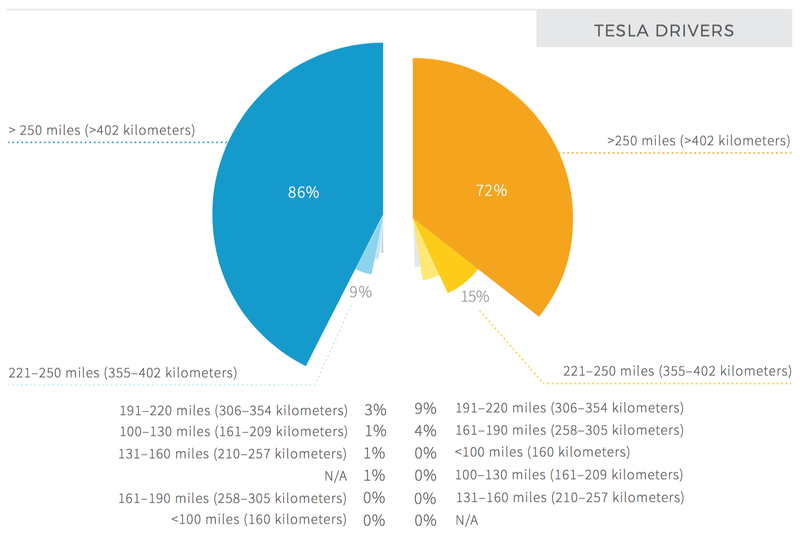 Another 11% at the 190 mile level brought the total portion of respondents to 80%, or 4 out of 5, requiring 190 miles or more range from an electric car. That’s a lot of demand for long range. For current EV drivers, the question was modified a bit, asking them how many miles of range they expected their next (or first in the case of PHEV drivers) fully electric car to have. This is an important difference because the surveys didn’t investigate the respondents’ actual minimum level of acceptance — rather, if they knew what car they would get and it happened to have long range (like the Tesla Model 3), that explains the high range result. Of course, one reason so many EV drivers are getting the Model 3 or other long-range electric cars is because they need or strongly desire the long range. 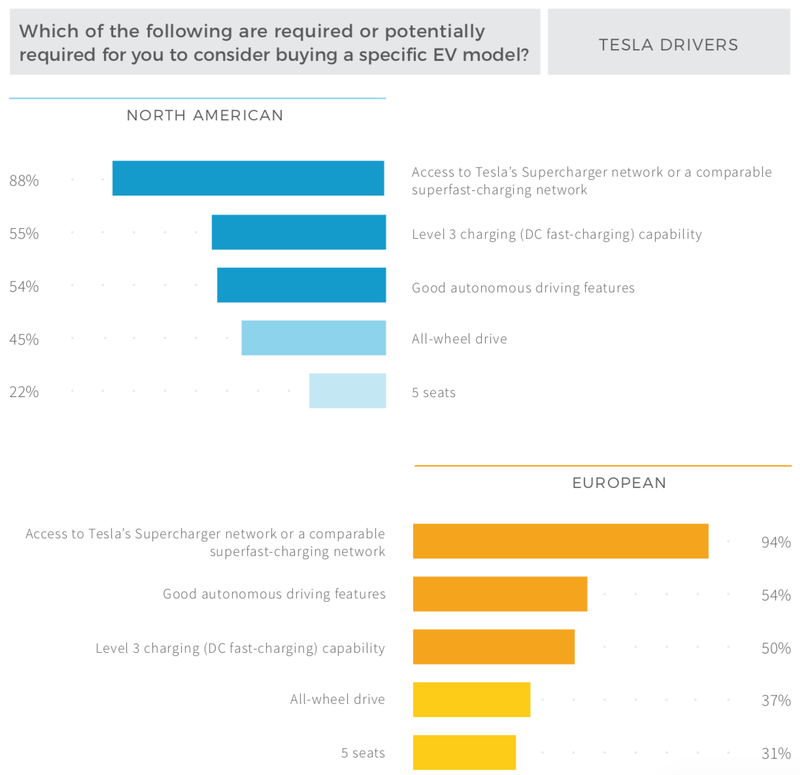 Existing Tesla drivers expected the most range (by far) from their next EV (which is surely going to be another Tesla in the vast majority of cases). In North America, 86% of them chose the option “>250 miles,” and in Europe the figure was 72%. 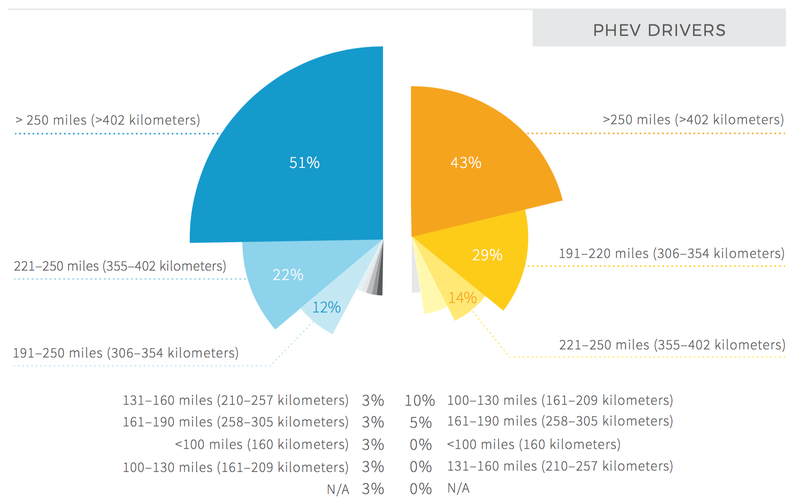 Further down the totem, 51% of North American PHEV drivers chose “>250 miles” and another 22% chose 221–250 miles. European driver figures were 42% and 14%, respectively. The numbers dropped further among non-Tesla pure-EV drivers. The percentages were still high relative to other options, but they were 43% and 19% in North America and only 24% and 21% in Europe. Actually, in Europe, 191–220 miles (300–350 km) was the most popular selection. 25% selected that choice. Nonetheless, no matter the group, respondents expected more range in their next/first fully electric cars than they expected in years past. They are moving with the market and improvements in technology. 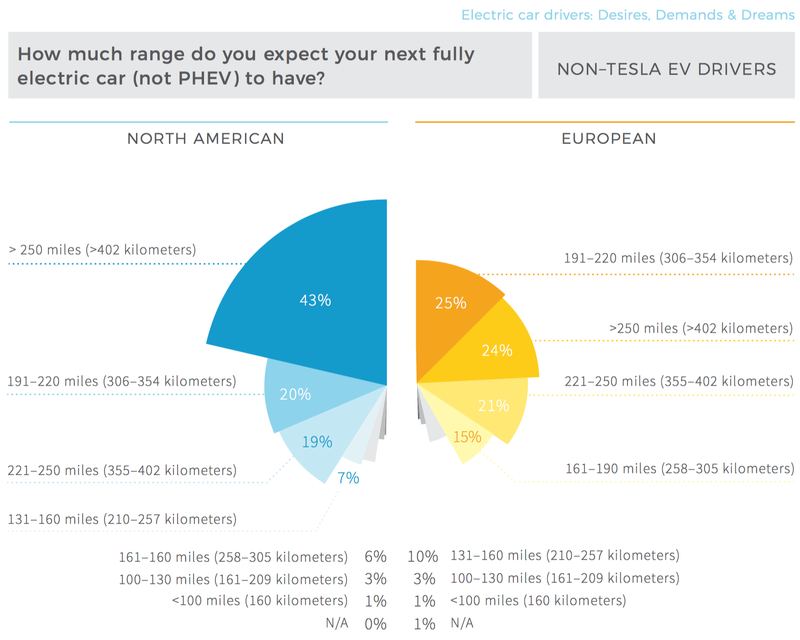 Compare these results to last year’s report: Electric Car Range Requirements … From Current EV Drivers (CleanTechnica Report). 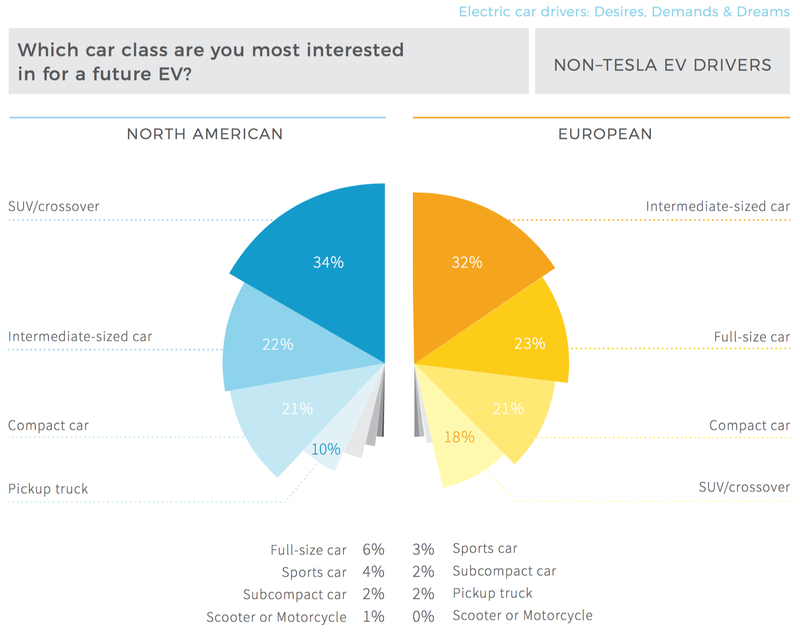 Aside from car class and range, what are people looking for in an electric car? 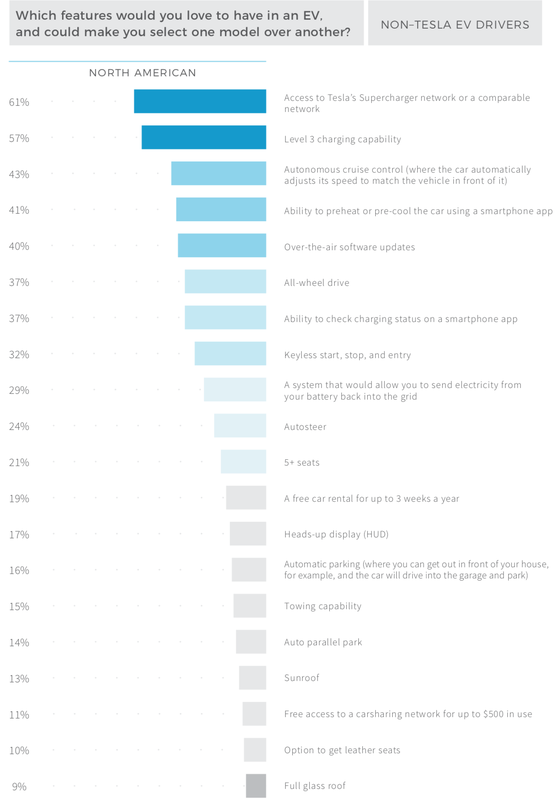 Among non-EV drivers, there’s high demand for fast charging, superfast charging, autonomous cruise control, ability to preheat and pre-cool the car, and over-the-air software updates (which are only really available in Tesla vehicles today). For current EV drivers, the same features are generally in high demand across the board, but the ranking changes a bit between the groups. 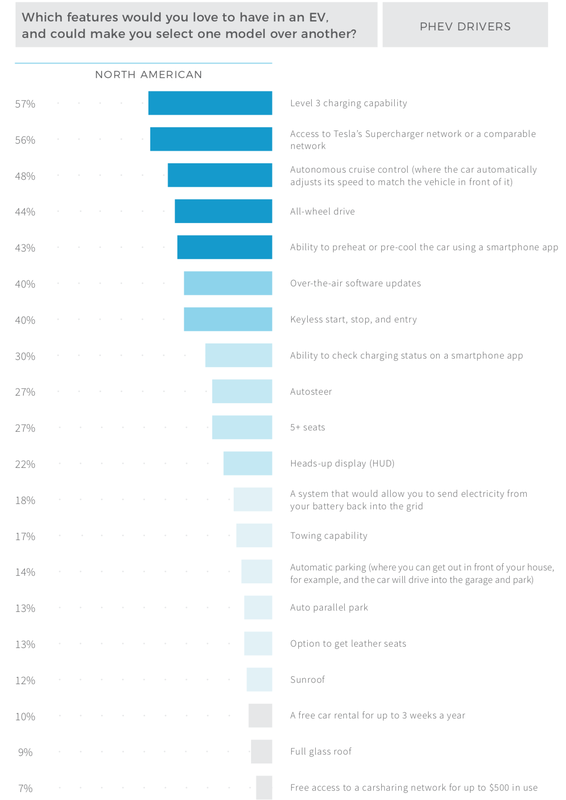 Access to superfast charging is king among Tesla drivers, over-the-air software updates are #2, and autonomous cruise control is #3. Level 3 charging, superfast charging, and autonomous cruise control are #1, #2, and #3 (respectively) among PHEV drivers in North America. Ability to preheat and pre-cool the car, superfast charging, and Level 3 charging are #1, #2, and #3 (respectively) among PHEV drivers in Europe. 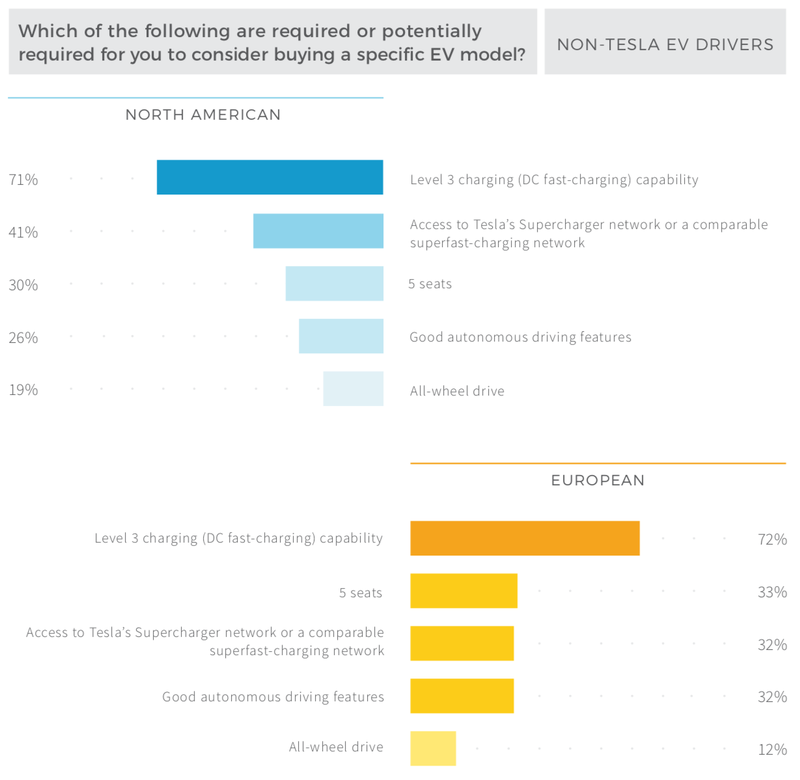 Superfast charging, Level 3 charging, and autonomous cruise control are #1, #2, and #3 (respectively) among non-Tesla EV drivers in North America. Ability to preheat and pre-cool the car, Level 3 charging, and autonomous cruise control are #1, #2, and #3 (respectively) among PHEV drivers in Europe. From the highest bird’s eye view, you can see there were five features on the surveys that were routinely the most important for survey respondents. 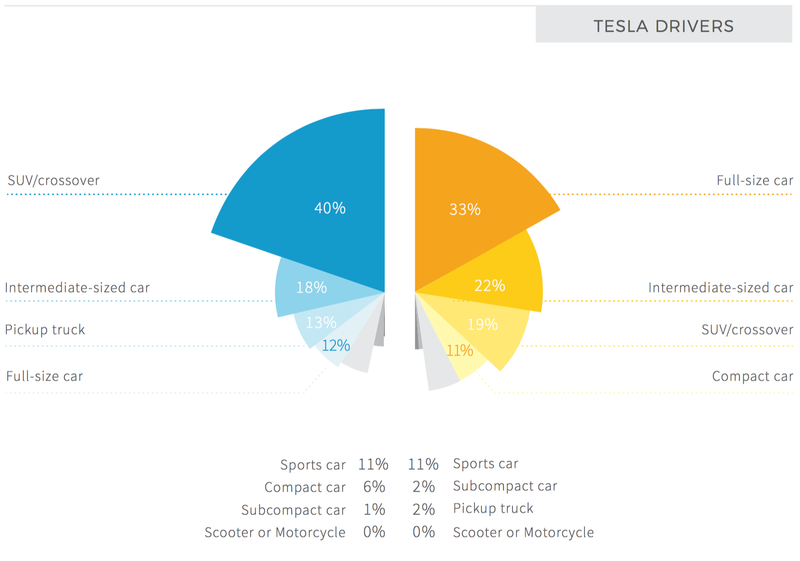 Compare these results to last year’s report: The Features Electric Car Drivers Demand & Desire (CleanTechnica Report).